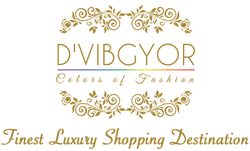 D'vibgyor is a lifestyle brand that has been set up to showcase work from Indian designers for global customers. Their product portfolio includes: designer wear, accessories, shoes, bags, decor etc. Their key focus is in curating the most elegant designs for our customers.